Most of our patients are going to be forced to deal with a cavity at some point in their life. This form of tooth decay is extremely common and can take place in the mouths of patients of all ages. As one of the most common oral health conditions, millions of fillings are placed every single year, but traditional silver fillings, or those made from other amalgams, were unsightly for some individuals. This is why our West Hollywood dental fillings expert offers a full line of the most advanced tooth colored fillings that can restore the integrity and appearance of a tooth. The traditional fillings that were utilized by our specialist for dental fillings in West Hollywood were made from any mixture of silver and other metals. This was an ideal amalgam for quite a few reasons. Not only did these fillings harden quickly, they were very resistant to decay and thoroughly restored the integrity of the teeth. When the fillings are on the front of the teeth or in another visible area though, many found that they did not want to have their fillings visible. The modern alternatives used by our West Hollywood dental fillings specialist can be made of more advanced materials, such as fiberglass. One reason that these composites are chosen is due to the fact that they are often just as strong as the metal amalgams so as to protect the structure of the tooth. The other benefit is that these fillings can be stained to match the color of the surrounding teeth, making them nearly invisible. One of the other distinct features of the services of our expert on dental fillings in West Hollywood comes from the fact that tooth colored fillings to not react with metals in the same manner that traditional fillings do, occasionally causing a sharp sensation when contact was made. 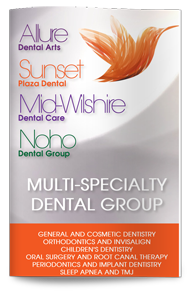 If you have recently noticed a cavity or have not had a thorough oral examination recently, our dentist in West Hollywood is here for you. Dr. Ghasri offers a full line of cosmetic and general dentistry services that are going to allow you to have a bright smile and great oral health for the rest of your life.